After spending almost half of his life playing the boy-wizard in the "Harry Potter" franchise, series star Daniel Radcliffe says he's sad to see the sun setting on his time at Hogwarts. "It will be very sad when it comes to a finishing," the 20-year-old actor, who is currently finishing work on "Harry Potter and the Deathly Hallows," which will be released as two movies, told MTV News. Daniel has already had to say goodbye to a few of his co-stars, like Helena Bonham Carter (Bellatrix Lestrange), who has already "disapparated" (wizarding lingo for vanishing) from the movie set. "I did have a moment the other day, in the makeup room that I have been in for 10 years now," he explained. "I did walk in and go, 'Wow, this is [hitting me]. One day – in about four or five months from now – I'm gonna walk in here for the last time.' Especially since, after we're done shooting, they're redoing the entire studio, tearing down and starting again." 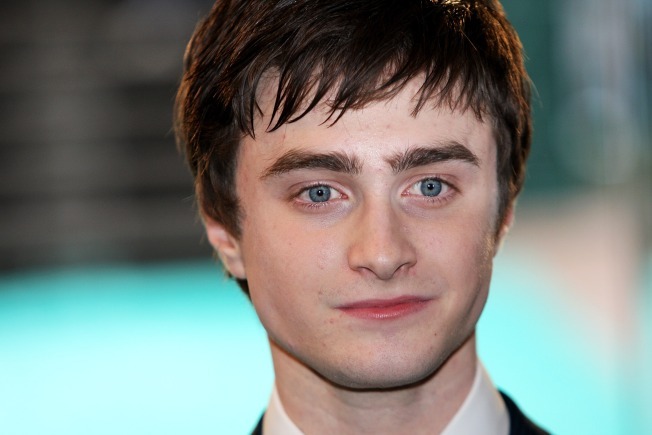 The young actor said he's glad that the franchise has helped invigorate the U.K.'s film industry – including a massive renovation of Leavesden Studios – where the "Potter" series has been shot by Warner Bros.
"A big investment is going into Leavesden [Studios], and England will finally have a third film studio. They've always had Shepperton and Pinewood, but to have Leavesden? That will do wonders for the film industry in England, which is always a struggle to keep going." Daniel said. "What's been amazing about 'Potter' is that 'Potter' has been the major film in England for the last 10 years. [The films] have given a lot of people jobs, myself included." And though Daniel is sad to leave behind his wand and cloak of invisibility behind, the young actor has his sights set on the future. "It's also very exciting [to be finishing the 'Potter' series]," he added. "And I'll hopefully have something to go onto shortly afterwards." "Harry Potter and the Deathly Hallows: Part I" hits theaters on November 19 and the second installment comes out on July 15, 2011. VIEW THE PHOTOS: Daniel Radcliffe: From Boy Wizard To Broadway star!